Are you looking for design inspiration for your next embroidery project? 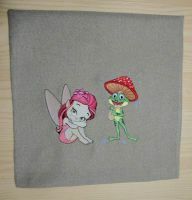 Our website is a premier source of original and diverse embroidery designs conveniently grouped into various categories. Fulfill your passion and hobby with us! 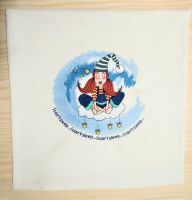 We have a vast collection of embroidery designs so you can easily work on your next project, whatever you want it to be. Christmas, Easter, flowers, vintage, Boho, seasons of the year, food and drinks, cartoon characters, cars, countries and cities – and these are just a few examples! 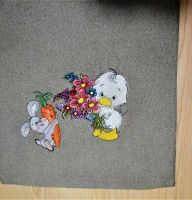 With us, the opportunities for machine embroidery design are endless. Browse our huge collections of embroidery designs to find inspiration and try something new. To get started, just sign up to the website and add your favorite designs to the shopping cart. Launch your very special embroidery project right now! Our embroidery designs support all popular machines and formats: Bernina, Brother, Janome, Melco, Husqvarna, PFAFF, Tajima, Barudan, Husqvarna and Singer. Our color palette formats are available in Embird: edr, rgb, txt. All in all, we offer over 14 embroidery formats. Stitching out your favorite designs has never been easier! When buying our embroidery designs, you not only get a high-quality and original design, we also set you up with up to six different sizes – and all of them for a single payment. Just pick the right size and get started right away! Signed up and made a payment? Download your machine embroidery design instantly and kick start your project at once. We’ve put in place an ongoing discount system for our customers. Benefit from amazing prices the more you buy. Track your order history in your shopping cart account. Look at a huge number of beautiful successful real projects with our work. You can us tags for search.